I read 8 books this month. I had a couple that I really loved. LOVED. Besides these books I also started a couple other different books and for one reason or another I couldn't get past the first couple chapters. They weren't bad or disappointing, I just wasn't in the mood and will keep them on the back-burner for the future. I enjoyed this book. I spied a girl reading a book by Julie Klassen one day at story time and was attracted to the cover of the book. Klassen had a couple different books and they all look good to me, but then saw this book on a friends goodreads profile and thought I would start with this one. It had a little mystery and a little romance. It was very clean and proper. After finishing this book it was hard not to immediately pick up another book by Klassen. I am looking forward to reading more by her in the future. I keep seeing this book recommended to me by amazon, so I finally decided to try it. I was not really looking forward to it - I know I shouldn't judge a book by it's cover but I kinda did and thought this might be a fluffy type book. I was really surprised and loved it! Princess Gabriella - or Ella - doesn't like acting like the normal princess. 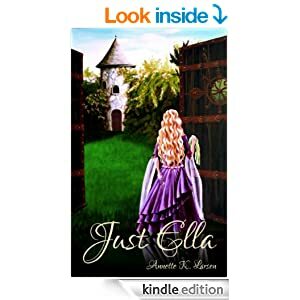 This story has a little romance and adventure. Once I started it I was sucked in and couldn't put it down. It's a cute, clean read and I think a great young adult book too. We've having some anxiety issues at our house. 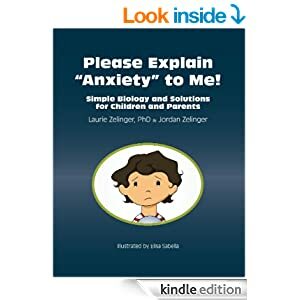 I've read a couple anxiety books before, I really have liked Overcoming School Anxiety. (click for link) It's a good resource and I review different chapters every now and again. I decided I needed a little more help, so I headed to the library and checked out a couple different books. This book was the one that I felt had the most useful information for me and our family. We don't have a lot of major issues, but some minor anxiety that causes stress, makes bedtime hard, was starting to cause stress at school, etc. This had good helpful ideas. A friend recommended this book to me as a resource. So, honestly, the pictures in this book I found really cheesy. I was really skeptical when I started the book, but as I read it I was really impressed. 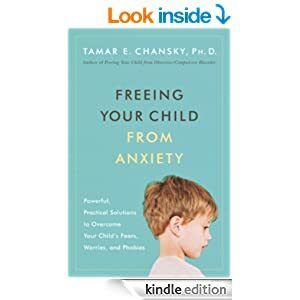 I couldn't wait to read this with the kid dealing with anxiety. I knew this would help him! It's a good tool to read with kids, it is in a language that they can understand. We read this together the next day and it clicked with him. Now we use this book a lot. We are able to identify what is going on with our fears and we can read the book together and it helps us feel better about things. I saw this book at school on a 6th graders desk one day and though it looked really interesting. 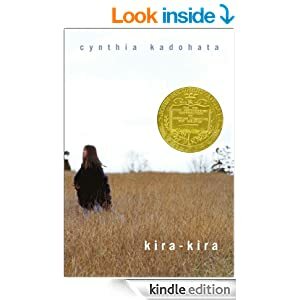 A story about spirit and strength, this book is about a young Japanese-American girl living in Georgia in the 50's. I really loved this book. 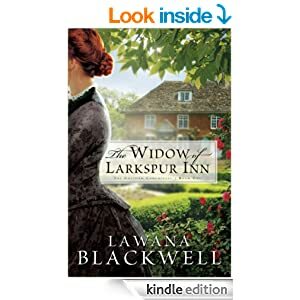 I think if you like historical fiction, you will enjoy this book. Other books you might enjoy if you like this one are, Bud, not Buddy by Christopher Paul Curtis, Each Little Bird that Sings, by Deborah Wiles, or Stone Fox by John Reynolds Gardiner. The last couple months I have started to see this around the school in different classrooms, it at the library and in stores. But after Gage told me that his 4th grade teacher was reading it to their class and that he really loved it I decided it was time to read it. Plus, I was up at night with a sick baby and couldn't do much but sit and hold her, so I downloaded a copy and could not put it down! I read it all night long. I LOVED this book. I think everyone should read it. 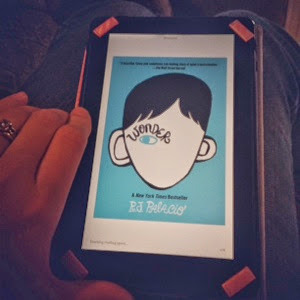 The book is about a boy, August, who was born with some birth defects that make his face look different. He has always been home schooled, but this book follows his journey of starting 5th grade in a mainstream school. 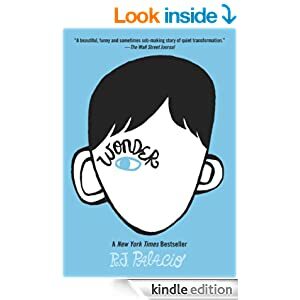 Wonder is a story about friendship, growing and love. I cannot say enough good things about it. Everyone should read it...really! I got this book free on my kindle. There was nothing wrong with it. I enjoyed it, but it wasn't a favorite. It's a first book of a series and I might read the next couple books, but I'm not in a huge rush. It was very clean and had a good Christian base. It was more a story about a family learning who and how strong they are than a romance. I would give this book 3, maybe 3 1/2 stars. This book is on a list of books for a reading competition at the school. Our kids didn't sign up for Battle of the Books, but we have read a lot of the books on the list this year. I hadn't read this one so when I saw it at the libary I thought I would check it out. What a fun read! Another book that I have loved this month. It's only 114 pages and an intermediate book so it's easy to pick up and read in an hour or two. Or read out loud to the kids - which we have done too. Some parts have left me laughing out loud. Great little book! So far my book total for the year is 27 and my goal was 65. I might challenge myself and change that to 100.